In this post, Lee particularly focused on Diesel as an insightful example of lessons learned from soft-launching a Foursquare campaign. In conjunction with their Be Stupid campaign, the fashion brand held a one-day event giving a discount to customers checking in to their flagship store. Diesel decided to organically promote the Foursquare event without any proactive pre-promotion outreach to bloggers and online writers. 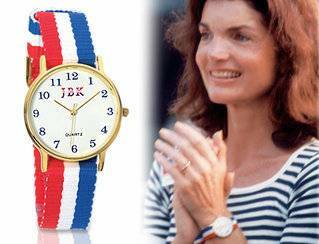 MyJewelryBox.com, an online jewelry retailer, recently launched The Jacqueline Kennedy Collection. Each piece is similar to the jewelry she wore in her days as the first lady and reflects her impeccable taste and elegance. The collection debuts just in time for shoppers to get ready for the Jackie O craze that could be headed our way! In addition to MyJewelryBox.com, The History Channel is in works to film a mini-series titled The Kennedys featuring Katie Holmes. Also, Rachel Weisz is said to star in an upcomming feature film about the days following John F. Kennedy’s assassination. Looks like we could see a new trend on the horizon: modest, conservative, clean lines and simplicity.